CBD is part of our regular cannabis lexicon here at The Cannabist, and has formed the basis for our CBD:TBD series on the site and in our High Minded podcast. But for the rest of the world, it might just be the biggest buzz word of the year. Packing a plethora of health and wellness benefits without the mind-altering effects of THC found in the cannabis plant, cannabidiol is poised for its global debut in 2018. The World Health Organization just announced that after an initial review, it doesn’t warrant international scheduling. Whether smoking THC-free strains to combat the symptoms of major illnesses, taking it in pill form as a supplement, infusing smoothies at home, or applying topical products for muscle relief, the options for consuming CBD are endless–and it’s just the beginning. As with concentrates (See item 1 on this list), cannabis overall continues to get classier, and since the hip head shop revolution of 2016, there are now even more beautiful brands lining the shelves, both in dispensaries and dedicated boutiques. In preparation for recreational legalization to commence next year, California creatives are leading the luxury charge with the likes of Beboe, Canndescent, Lowell Farms, Miwak Jr., dosist (formerly Hmblt), Lola Lola, and Lord Jones, who in November, announced an exclusive partnership with the Standard to open a dispensary within the infamous Hollywood hotel. The Seattle-based brand Van der Pop has emerged as the preeminent women-focused cannabis company that in addition to its line of thoughtful and chic products, is changing the stigma while also growing into a true educational and community resource. The Organic Cannabis Association landed on our list in 2016, but its recent merger with the Ethical Cannabis Alliance in Oregon and resulting name change to Cannabis Certification Council (CCC) this year, the non-profit organization has made major strides in advocacy for cultivating and choosing clean cannabis. Save the date (October 17-18, 2018) when they’ll host the third annual Cannabis Sustainability Symposium in Denver. In California, Flow Kana has set the standard of what sustainable cultivation can look like, while empowering artisan farmers to thrive by supporting their small batch, boutique strains. When the Marijuana Business Conference & Expo (a.k.a. MJ Biz Con) first started in 2012, it welcomed 402 attendees. This year, more than 18,000 industry professionals descended upon Las Vegas for what is now a must-attend on the cannabis circuit. 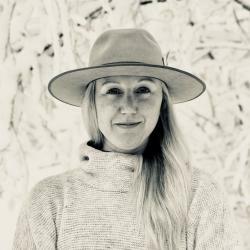 From the Women Grow Leadership Summit and NCIA Cannabis Business Summit & Expo to New West Summit and CannaTech, there is no shortage of networking and learning opportunities year-round — which culminated this year with the first-ever (and already officially annual) Aspen High Summit earlier this month.